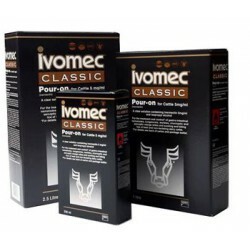 Ivomec Classic Pour On, For the treatment and control of gastro-intestinal nematodes, lungworms, eyeworms, warbles, chorioptic and sarcoptic mange and sucking and biting lice in beef and non-lactating dairy cattle. 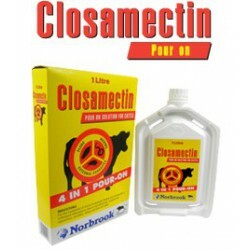 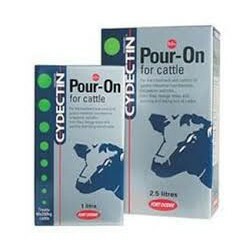 Pour on containing 0.5% moxidectin for the treatment and control of gastro-intestinal roundworms (stomach & gut worms), lungworm, warbles, hornflies, mange mites and sucking and biting lice of cattle. 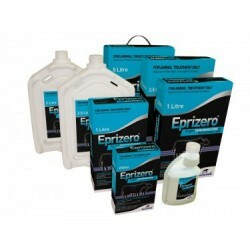 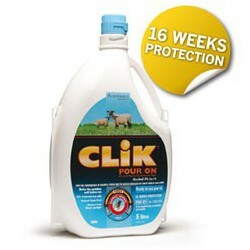 Prevents re-infection of stomach worms for 5 weeks and lungworm for 6 weeks. 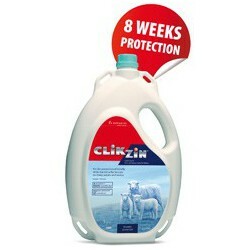 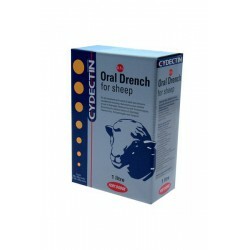 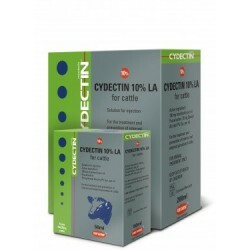 CYDECTIN Oral Drench for Sheep is a ready-to-use solution containing 0.1% moxidectin.